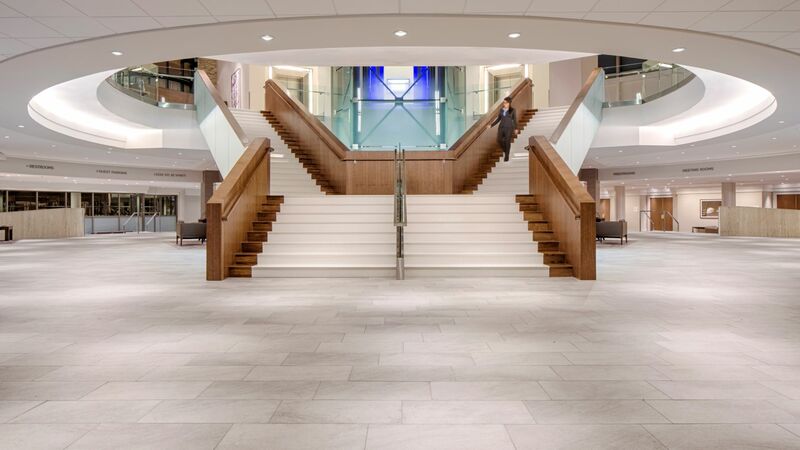 Hyatt Regency Denver Tech Center is conveniently located near many of Denver's growing areas, including Englewood, Centennial, Meridian International Office Complex, Lone Tree, Highlands Ranch, Aurora, Littleton, Parker, Castle Rock, and Greenwood Village. Whether you're visiting downtown or one of our exciting suburbs, this luxurious Hyatt Regency Denver, Colorado hotel offers the best location on the map. Hyatt Regency Denver Tech Center offers complimentary shuttle service within a three mile radius of the hotel. Availability is on a first-come, first-served basis. Please inquire at the concierge desk for more information. We are pleased to offer covered parking for our guests, which can be very valuable in inclement weather. Hyatt Regency Denver Tech Center is the only hotel in the Tech Center area that offers covered parking. Please note, all valet parking is outside. Self-parking is in the covered garage, with a maximum garage clearance of 8’2”. The hotel also offers surface-lot parking for vehicles that are not able to get into the garage, or for bus and RV parking. Denver Super Shuttle: $26.00 one way or $52.00 round-trip. Call 303-370-1300 or 1-800-BLUE-VAN. Sedan/limo service: Marcus Limousine provides airport transfers. Call 303-408-4996 or email info@marcuslimousine.com. Amtrak: Trains are located in downtown Denver at Union Station, approximately 17 miles (or 25 minutes) away via taxi. Taxi cost is about $30.00/person. Light rail: You may also use the light rail service, which travels directly from Union Station to Belleview Station on the E line, one block from Hyatt Regency Denver Tech Center. Light rail service: Travel to downtown Denver in just minutes via light rail. The Belleview Station is a 7-minute walk from the hotel, or take our shuttle to access the E line, only one block from the hotel. Light rail maps are available at the concierge desk or at www.rtd-denver.com. Take the light rail to Park Meadows Retail Resort, Downtown Denver, and in 2018, Denver International Airport.